We all know that companies are trying to manufacture flying cars, however, there are certain ones that have set their aim a little higher than that. 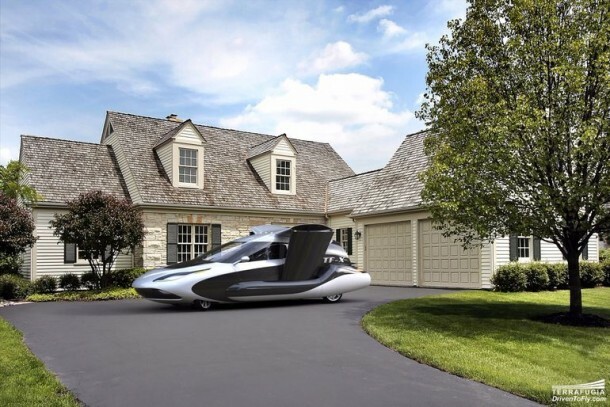 Terrafugia is that one company which is aiming for autonomous flying car. It has released new designs for the TF-X model. It was announced back in 2013 and the update depicts a sleeker body and a one-tenth scale model that is slated to be tested in a wind tunnel situated in MIT. 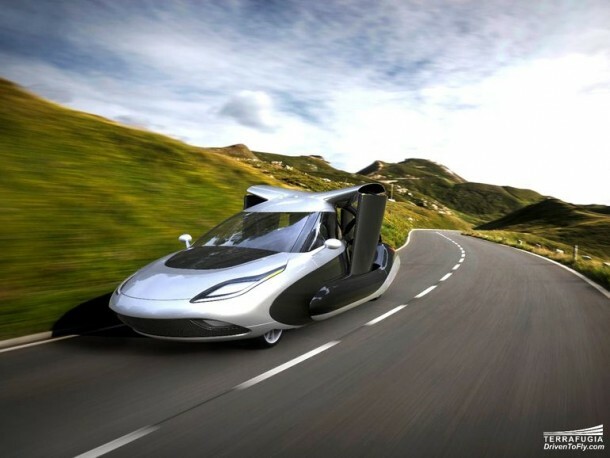 As compared to the Transition, original flying car by Terrafugia, TF-X is capable of vertical take-off and landing. As per Terrafugia, the aim of these vehicles is to provide ‘true door-to-door transportation’. This particular vehicle has been designed to accommodate four persons while features a flight option that is controlled by computer. This feature allows user to merely input the destination before the vehicle takes off. Do note that the vehicle requires a clearance of 100ft in diameter to take off. The car sports fold-out wings that have twin electric motor pods affixed at the end. These motors are powered via 300hp engine and are capable of moving from vertical to horizontal position as per requirement (landing, take-off and cruising). A ducted fan shall be responsible for providing the thrusts while the vehicle will sport a cruising speed of 200mph and a 500mile flight range. The car shall be landing autonomously as well, however, the user will have the final say as to when it’s safe to land. Once it is back on the ground, the wings shall fold down within seconds, thus rendering it suitable for road-going plug-in hybrid again. The scale model shall be tested at the Wright Brothers wind tunnel at MIT. The testing shall allow the firm to measure the thrust, lift and drag forces of this new design. 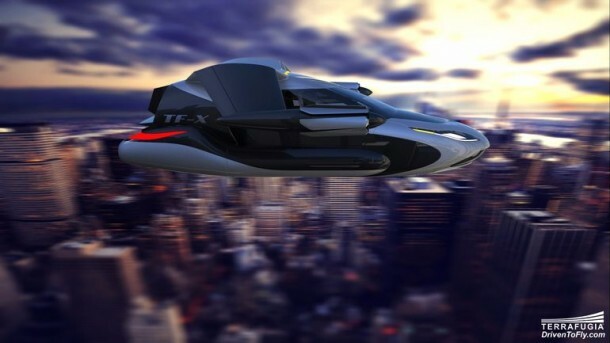 According to Terrafugia, the TF-X shall need another 8-12 years in development before it can make its way to market.